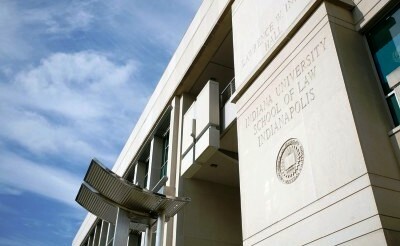 Indiana University - Robert H. McKinney School of Law - Find Your LL.M. 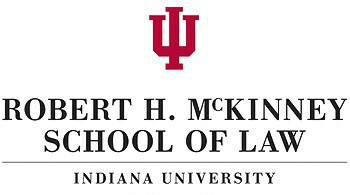 Robert H. McKinney School of Law at Indiana University-Purdue University Indianapolis is an ABA accredited Law School and one of the oldest, one of the largest, and one of the most international of all the American Law Schools. Founded in 1894, the School has educated legal professionals for Indiana, the United States, and the World, with a focus on practical skills built on solid theoretical foundations. More than half of all attorneys, judges, and other legal professionals in Indiana are graduates of McKinney, including the current governor and three of the five Supreme Court justices. Since launching its Master of Laws (LL.M.) and Doctoral (S.J.D.) Programs, the School has also built a large international alumni base. In 2007, it was chosen by USAID for the implementation of an experimental program in Egypt, and delivered its Master of Laws in International and Comparative law on site at the universities of Alexandria and Cairo from 2008 to 2013. 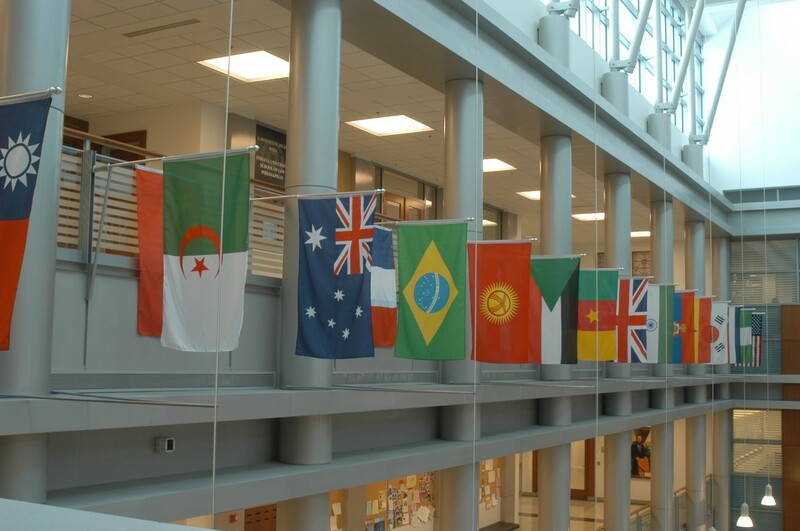 McKinney has a number of partnerships with leading law schools around the world and hosts many International scholars, students, and events, on its campus every year. Tianhua Zhu has been in the United States for just over one year, working on her Master of Laws (LL.M.) degree. She hails from the province of Shanxi and hopes to become an expert in international transactional law. She is currently serving as an extern for Indiana Supreme Court Justice Steven David, '82. Rahma Hersi, LL.M. ’08, is an Islamic finance lawyer, consultant, and trainer now working as director of Awal Consulting Limited. She is a founding member of the organization, which is the first Islamic advisory and consulting firm in Kenya. Liu Yi-sheng worked at a fisheries agency in his native Taiwan before pursing graduate legal education at IU McKinney. He is seeking ways of improving conditions in developing countries while still respecting human rights, and in particular the right to housing. Valia Charo, who is an LL.M. student on the Corporate and Commercial Law track, began her LL.M.coursework at Holy Spirit University of Kaslik (USEK) in Beirut, Lebanon and is completing her degree in Indianapolis in the Summer of 2016. Hold a J.D. from an ABA-accredited law school in the U.S. Hold a first degree in law or comparable from a university outside of the U.S. Qualifying language scores must be less than two years old at the time of application. Law school students, faculty, and staff may place requests online for delivery of materials from another IU library using the “Request Delivery” button in IUCAT. Requests for delivery of items from other IU libraries usually take 4-7 business days to receive. If there is no Request Delivery button for the item you want, either (1) you are using the Guest Access to IUCAT and need to login instead; or (2) the item is not available for delivery. To borrow circulating materials from the Law Library, you must possess a valid Jagtag (IUPUI identification card). All IU/IUPUI faculty, students, and staff are permitted to borrow materials from the collection. Materials are available to attorneys and the general public for use in the library only. For further information, contact Circulation. Borrowers are responsible for materials checked out in their names. It is the responsibility of each borrower to inform the University of a lost or stolen ID/Jagtag, change of mailing address, telephone number, or e-mail address. Students, faculty, and staff should also inform their “home” library if their IDs/Jagtags are lost or stolen. 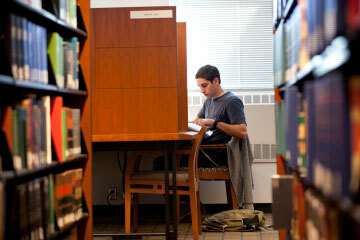 The majority of the library’s circulating material is located in the classified collection on the second floor. Any item that is part of a multi-volume set, has a pocket part, or is bound in a loose-leaf binder may only be used in the library. Materials in the general reserves, course reserves, faculty archives, and the audio/video collections also circulate, but these materials have very limited loan periods. Books circulate for one month. Members of the law school faculty are permitted extended loan periods for all items. Materials from reserve, archive, and A/V collections circulate for 2 hours. Two renewals are permitted on an item as long as another patron has not requested it. Most materials can be renewed online through My Account in IUCAT. If you encounter any problems, contact the Circulation Desk at circlawl@iupui.edu or 317-274-4028. Items can also be renewed in person. What can you do to make yourself healthier--physically, emotionally and financially? The Office of Student Affairs sponsors events throughout the year to promote balance and good, healthy choices. Students gather in the Sagamore Ballroom at the Indiana Convention Center for the hooding ceremony that will transform them into graduates. Welcome to the alumni family! The Lambda Law Society is committed to improving student and faculty awareness and education of the lesbian, gay, bisexual, transgender, queer(LBGTQ)community in areas of law and public policy. For over 35 years, Women's Caucus has held an auction to raise money for very good causes ranging from helping victims of domestic violence to sending kids to MDA summer camp. Faculty are the auctioneers! Thank you to all of the students who help OPD and IUAA transform Inlow Hall into "Career Central" each Spring! When you’re ready to take the next step in your law career, getting a Master of Laws (LL.M.) degree from the IU McKinney School of Law can help. it gives currently practicing U.S. lawyers a place to hone their skills and deepen their knowledge base on a specific subject. it helps licensed lawyers from other countries get to know American law in preparation for passing the Bar in the United States. it provides a focused curriculum for legal scholars who are interested in advancing their knowledge in a specific area of law in order to prepare for the S.J.D./Ph.D. in law and an academic career. As an LL.M. student, you’ll complete a 24-credit program. If you attend on a full-time basis, you can complete your degree in a single year. Foreign students, note that to satisfy visa regulations, you must finish within eighteen months. However, if you are a domestic student, you have up to three academic years to complete the degree requirements, and can take classes on a part-time or evening basis. The opportunity to publish your thesis, if in a thesis track, on the ScholarWorks network at Indiana University. This network makes your research available to lawyers and legal scholars worldwide. You will be admitted into the LL.M. program, and not a specific track. During orientation, you will have the chance to sit down with academic advisors and faculty in order to decide which LL.M. track is the best fit for your career goals and interests. For all tracks, you must complete 24 credit hours with the minimum cumulative grade point average (GPA) required by your LL.M. track (see below). All students enrolled in the LL.M. program who have not completed a J.D. at an ABA-accredited law school must complete a total of 6 required credits during the first semester of enrollment in the program. ALFL students will create a personalized program of study consisting of no less than 18 credits of additional courses for a total of 24 credit hours. ICL students must complete 12 of their 24 credit hours in courses designated as ICL courses. ICL students may choose from elective courses in the law school curriculum to satisfy the remaining credits for a total of 24 credit hours. Students enrolled in the LL.M. track in American Law for Foreign Lawyers (ALFL) are required to have a cumulative grade point average (GPA) of 2.0 ("C") or higher to receive their degree. Students enrolled in the other LL.M. tracks are required to have a cumulative GPA of 2.3 ("C+") or higher to receive their degree. LL.M. students who have finished all coursework but have to complete a thesis or who have earned a grade of “I” (incomplete) in any course will be enrolled in LAW-G901 for each subsequent academic session (Fall and Spring). Enrollment in LAW-G901 will cease when the student has satisfactorily completed all outstanding work. G901 is not required for summer sessions. Ordinarily, an LL.M. student must complete all requirements for his or her LL.M. degree from Indiana University Robert H. McKinney School of Law within 36 months after matriculation. An extension of this time period may be granted by law school administration for good cause shown. Our story began more than 100 years ago. That’s when the Indiana Law School was founded as part of the newly minted University of Indianapolis. 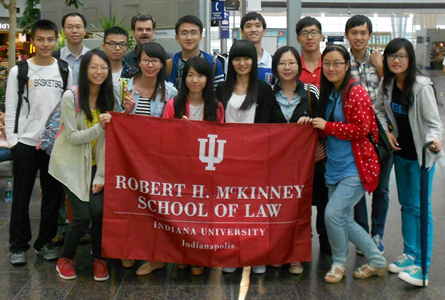 Indiana University - Robert H. McKinney School of Law is the only law school in the capital. In 1936 the school merged with the Benjamin Harrison Law School. In 1944 the school became affiliated with Indiana University and received a new name—the Indianapolis Division of the IU School of Law. The following year, the school moved into the Maennerchor Building, an architectural landmark in Indianapolis that housed the school until 1970. 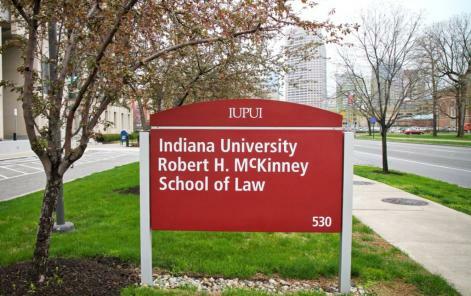 In 1968 we became autonomous and were renamed the Indiana University School of Law-Indianapolis—a name we kept until being renamed the Indiana University Robert H. McKinney School of Law in 2011. In December 2011, the law school received an exceedingly generous multimillion dollar gift from Robert H. McKinney, a well-known community banker, attorney, and civic leader. When matched with funds from the IUPUI IMPACT fundraising campaign, his donation resulted in a total gift of $31.5 million. To honor his generosity, the law school took his name, becoming the Indiana University Robert H. McKinney School of Law. This gift is completely in character for McKinney, a man who has made it a mission to give back throughout an exemplary career as a founding partner of Bose, McKinney & Evans LLP, and later, as chairman and CEO of First Indiana Corporation. He is a director of the U.S. Naval Academy Foundation; serves on the boards of the Indiana University Foundation, the Conservation Law Center, and the Sierra Club Foundation; and is advising director of the IU School of Public and Environmental Affairs. In addition, he has been a director of many civic corporations, including the Indianapolis Economic Club and the Indianapolis and Indiana Chambers of Commerce. His gift was the latest in a long history of donations by our generous alumni. 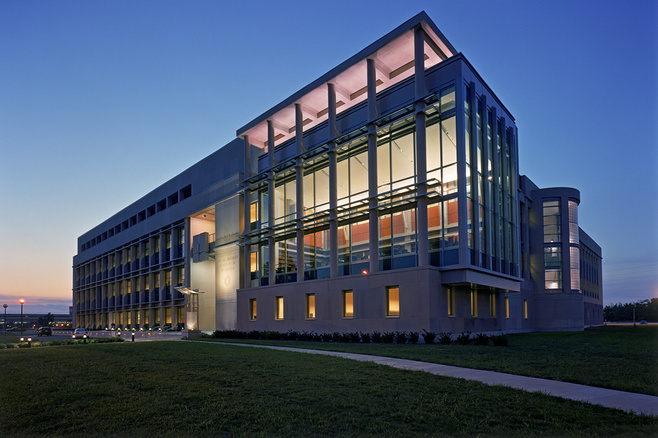 The Indiana University Robert H. McKinney School of Law resides on Indiana’s urban research and health sciences campus. As the only law school in our vibrant capital city, we are committed to accessibility, affordability, diversity, and excellence in public legal education. The McKinney School of Law serves its students and society as a center of legal education and scholarly inquiry. Our students pursue a rigorous course of study immersed in an environment of public service and community engagement. By fostering a mature sense of integrity and an awareness of an ever-evolving legal profession, we empower students to succeed as citizens, professionals, and leaders. On-line – McKinney Law participates in the Law School Admission Council (LSAC) on-line application system, which includes an optional credentials assembly service. Directly to McKinney Law – simply complete our own application form and send it to us in whatever manner you would like: postal mail, e-mail, fax, and of course you can stop in and hand-deliver it, as we always enjoy having you come to the law school. If you are sending files over e-mail, they will only be accepted as PDF documents, we will not accept documents in any other format. We use rolling admissions, which means there are no deadlines for you to worry about. You can start in either the fall (mid to late-August) or the spring (early January) term. If you are applying late in the process, we will do our best to get your application processed, although if you are coming from outside the US and need a visa, it is critical that you apply in enough time for us to make a decision and still have time to apply for a visa. The turn-around time on a completed application is typically in the range of 3-4 weeks, although that can vary somewhat as many of the faculty on the admissions committee travel frequently around the world. Because the LL.M. is a postgraduate law degree, admission requirements are somewhat different from those of the J.D. program. You’ll also find that the application information differs depending on whether you have any international educational credentials. Apply to the LL.M. program at IU McKinney now, directly or on-line, and you can contact Miki Hamstra by email at mhamstra@iupui.edu for more information. If you have any trouble filling out the form, here is a printable version of the application form. At IU McKinney Law, we are a diverse community of students, faculty, staff and alumni who care deeply about our world and the people in it. At McKinney Law, inclusion is not a buzzword--it is a way of life. The Office of Student Affairs provides a variety of services for you as you pursue your dream of earning a law degree. Academic counseling is available to help you consider your course options, whether you just want some advice about which classes to take, or you are contemplating pursuing a certificate in a certain discipline or a joint degree. 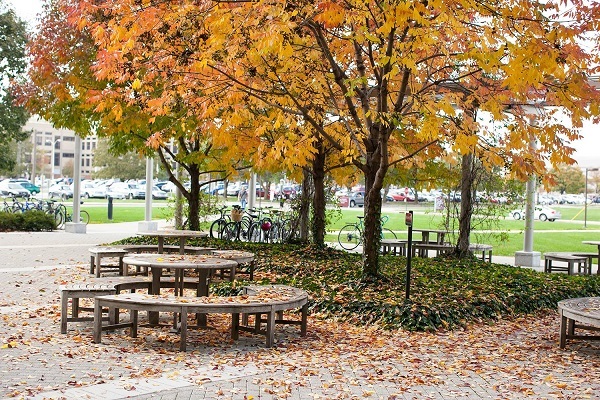 The office works with student organizations to plan activities for the law school community, and serves as a resource to foster interaction among students and faculty. Student Affairs staff members are there when you need them—if you are having a bad day, or want to share some good news—the Student Affairs team is there to help, to listen and to join in your celebrations. ICLEO is a state-based program that helps minority, low income, or educationally disadvantaged college graduates pursue a law degree and a career in the Indiana legal community. Chances are, we have a student organization that will connect you with others who are equally passionate. Or you can always start a new group! Over 30 Student Organizations: from BLSA to Lambda---there's a group for that! We have plenty of great opportunities to help those in need and give back to the community. Check out our Pro Bono Program & Clinics, but don't forget that many student organizations also have great volunteer opportunites to help homeless sheleters, domestic violence shelters, pet shelters and many, many other worthy causes. 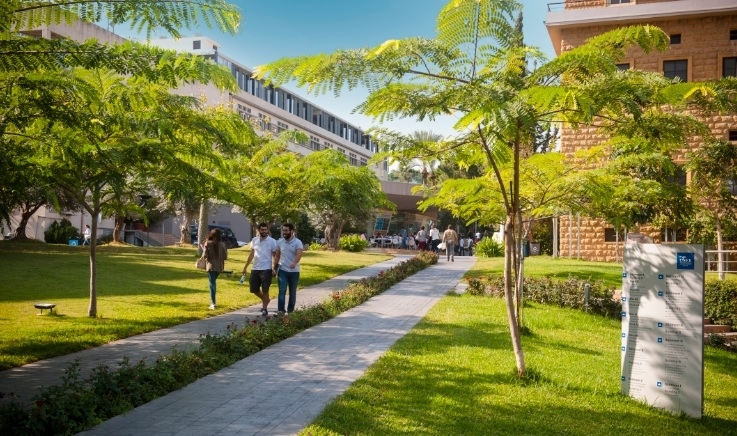 Since its foundation, the Holy Spirit University of Kaslik (USEK) has sought to contribute to the welfare of the human being through education, research, and publications in all fields of science and knowledge. A pioneer in the field of law, among other fields, USEK launches a new educational program today, true to its tradition of excellence and its commitment to serving the students and the labor market. The University is strengthening its law school and diversifying its degree opportunities via an initiative with the prestigious Robert H. McKinney School of Law at Indiana University-Purdue University Indianapolis, U.S.A.
Robert H. McKinney School of Law at Indiana University-Purdue University Indianapolis and USEK Faculty of Law are proud to announce an enrollment agreement that allows students to pursue their studies in U.S. and International Law. Students enrolling in this program have a unique opportunity to participate in a year-long Master program, one semester taken at the USEK campus in Kaslik, Lebanon, covering 12 credits, followed by one semester at Robert H. McKinney School of Law in Indianapolis, USA. Successful participants, after completing 24-credit hours, will be awarded the Master of Laws (LL.M.) 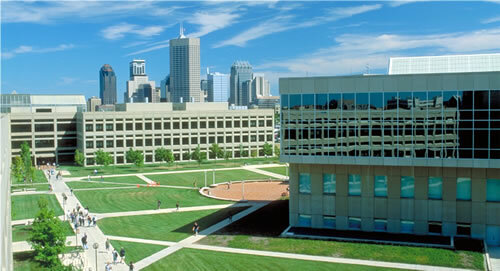 from IndianaUniversity, as well as the Master degree from USEK. The LC Program at USEK Faculty of Law will be open to Lebanese and other legal professionals, as well as recent graduates of law, with good knowledge of English. All candidates have to apply to both law schools and meet all admission formalities and criteria of each school. Making the decision about where you pursue a legal education will impact the rest of your life. At McKinney Law we think you will find the best possible mix of theoretical grounding and practical training, hard work and fun, in a challenging yet supportive environment. Fantastic Faculty: Professors at McKinney Law are experts in their fields of interest and are eager to help you master legal concepts and learn to “think like a lawyer.” Most have professional work experience in the law prior to teaching, so your course work will blend theoretical and practical knowledge of the law. Contact faculty to discuss your academic aspirations and career goals! 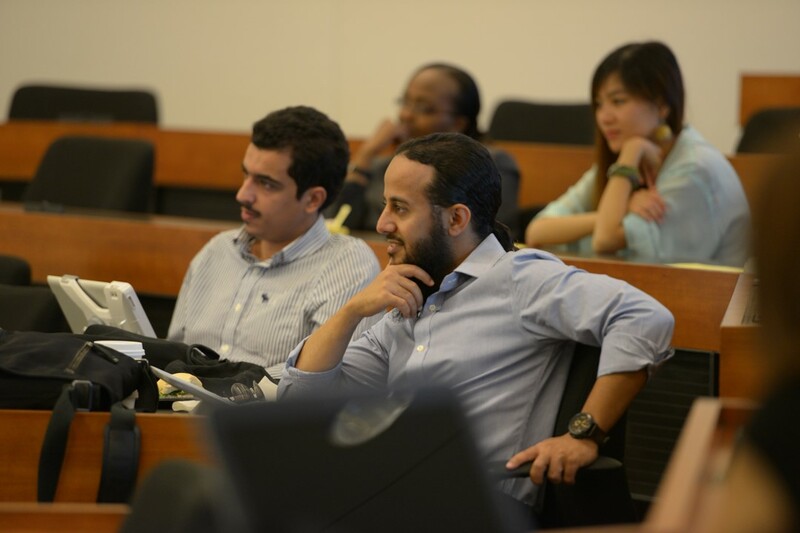 Rigorous and Innovative Curriculum: After you complete the bedrock of your legal education in your first year, there are a variety of upper level courses in popular areas, as well as 120 electives each year, including small seminars and cutting-edge topics. Check out all of our course offerings. Experiential Learning: Learning by doing is a critical component of modern legal education. 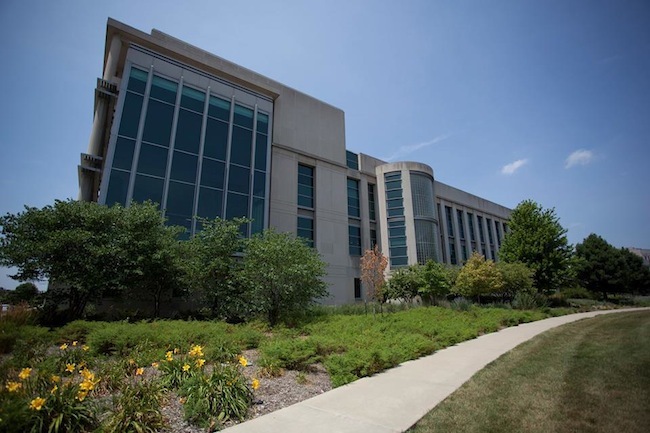 At IU McKinney, you will have ample opportunity to gain hands-on legal experience. We offer seven live-client clinics, moot court, law reviews, skills training, pro bono work, and a wide variety of externships and clerkships. See how you can put law into practice. Supportive Atmosphere: Our friendly faculty and staff, not to mention our 10,000-plus alumni (meet some of them) who work world-wide in a variety of sectors and professions, want you to succeed and we will do our best to see that you do! Find out more about our committment to diversity (brochure, video). This report includes data or information provided to the ABA regarding: admissions, tuition and cost of living, financial aid and scholarships, enrollment, attrition and graduation rates, faculty and administration, curriculum, and bar passage. These reports provide a detailed analysis of hiring for recent graduating classes at 9 months after graduation as submitted to the ABA. Advanced Topics in Intellectual Property Law (2 or 3 cr.) D/N 636 examines specialized topics of intellectual property law, such as Internet applications, recent legislation, music issues, the intellectual property law of other countries, and other topics not ordinarily encompassed in depth by other courses. Prerequisites will vary according to the subject of the course as announced. In the Fall 2017 Semester, the course will cover Chinese Intellectual Property Law. Contract Law for LL.M. Students (2 cr.) D/N 535 introduces student to the sources of basic principles of contract law in the United States. The course will study contract formation, performance, breach, and available remedies under the common law, with references to parallel provisions in Article 2 of the Uniform Commercial Code. Required in the first semester of enrollment for all foreign-trained LL.M. students who matriculate in the fall semester and may be taken as an elective in a subsequent semester for students who matriculate in the spring semester. Introduction to the American Legal System (2 cr.) D/N 500 introduces LL.M. students to the judicial function in tripartite government (judicial independence and judicial review of legislative and executive authority), the structure of American judicial systems (organization and functions of trial and appellate courts), the role of the federal courts in the federal system (subject matter jurisdiction and allocation of power), the meaning and use of judicial precedent, and the work of lawyers in an adversary system. J.D. students shall not be permitted to enroll. Required in the first semester of enrollment for all students in the ALFL track. Legal Research for LL.M. Students (1 cr.) D/N 517 provides students the opportunity to learn the mechanics and search strategies of legal research in order that they may successfully complete research paper assignments in other law courses. Students will be evaluated in this course on an S/F basis. J.D. students shall not be permitted to enroll. Required in the first semester of enrollment for all foreign-trained LL.M. students. LL.M. Legal Writing and Analysis I (1 cr.) D/N 514 provides students with the basic skills needed to analyze a legal problem within a common law system and to document that analysis in the manner expected by attorneys and courts in the United States. The student-faculty ratio for each section shall be no more than 12:1. Required in the first semester of enrollment for all foreign-trained LL.M. students. LL.M. Legal Writing and Analysis II (1 cr.) D/N 515 provides students with instruction on legal writing and analysis beyond that offered in the first course. This course is intended for LL.M. students who want to achieve an elevated level of skill by engaging more complicated legal problems than in the introductory course. Prerequisite: LL.M. Legal Writing and Analysis I. Recommended co-requisite: Contract Law for LL.M. Students or Tort Law for LL.M. Students. LL.M. Thesis Organization () D525 consists of a classroom component, addressing issues such as selection of a topic and supervisor, development of a problem statement, and methods of research and analysis. It is designed primarily for Master students who are required to write a thesis as part of their degree requirements. Such students are required to enroll in this course prior to the semester in which their thesis is submitted. Students will be evaluated in this course on an S/F basis. Seminar in American Legal History (2 cr.) D/N 850 At the option of the instructor, this class will provide a survey of American legal history, or as an alternative, will explore a selected American legal history period or subject. Topics might include, but are not limited to, criminal justice, family law, Indiana legal history, legal profession, and legal theory. In the Fall of 2017 the seminar will cover the drafting and ratification of the Fourteenth Amendment, along with some of the major Supreme Court cases interpreting those events. Topics in Health Law (2 or 3 cr.) D/N 763 examines specialized topics related to health law that are not addressed in depth by other courses. In Fall 2017, using emerging issues in health care, public health, and environmental health law as modes of analysis, this course will introduce students to the theory, methodology, and evaluation of public policy development. Students will explore these issues via case studies and on-site learning opportunities related to issues such as the legalization of medical marijuana, syringe exchange programs, and drinking water quality. Students will also apply methods for evaluating law and policy to individual research topics via policy briefs or the option to prepare a longer paper to fulfill the J.D. Advanced Research and Writing requirement. Tort Law for LL.M. Students (2 cr.) D/N 536 introduces students to basic principles of tort law in the United States. The course will study sources of duties, breach, defenses, and available remedies under the laws of international torts, negligence, and products liability. Required in the first semester of enrollment for all foreign-trained LL.M. students who matriculate in the spring semester and may be taken as an elective in a subsequent semester for students who matriculate in the fall semester. U.S. Constitutional Law for LL.M. Students (2 cr.) D/N 615 provides an introductory level survey of U.S. constitutional law. the course includes discussions of the impact of the Constitution on fundamental concepts of criminal law (Amendments IV, V, VI, and VII), of civil law (Amendments I and XIV), and of powers  and limits on the powers  of branches of the national government (supremacy clause, enumerated powers, Amendment X). Enrollment is limited to LL.M. students who obtained their law degree outside the United States. Although the LL.M. 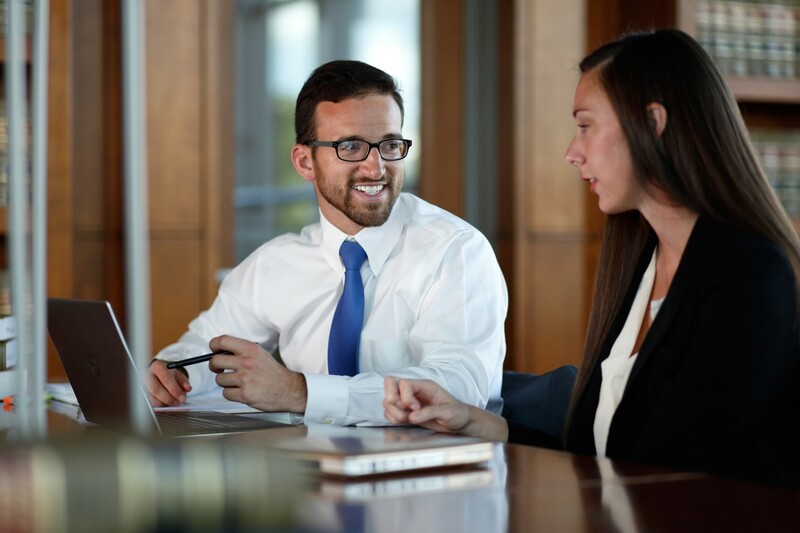 program at McKinney Law offers a structured format, it also gives you the flexibility to choose the electives and hands-on experiences best suited to your goals. When you arrive on campus you will be able to choose to pursue one of six program tracks, each designed to satisfy a specific set of needs. Then, within the framework of your chosen program, you can create a curriculum certain to set you on the path to success. For more information about the LL.M. program or the different tracks available, please contact us. The legal profession is global, and international economic and political dynamics present new challenges. An LL.M. degree from IU McKinney prepares you to meet those challenges and opportunities with a broader perspective and deeper understanding of different legal systems. Earning an LL.M. degree at IU McKinney is the first step toward a fulfilling future. It gives you a firm foundation from which to pursue a variety of options and career paths. • Global companies nearby (pharmaceutical giant Eli Lilly and Co. and Cummins Inc., an American Fortune 500 manufacturer, are two examples) and dozens of law firms and non-profit organizations. At IU McKinney, you’ll have unique opportunities to get to know practitioners in a variety of fields, pursue externships, clinical courses, or pro bono legal service and optional practical training (OPT) where you can put your legal skills to work. 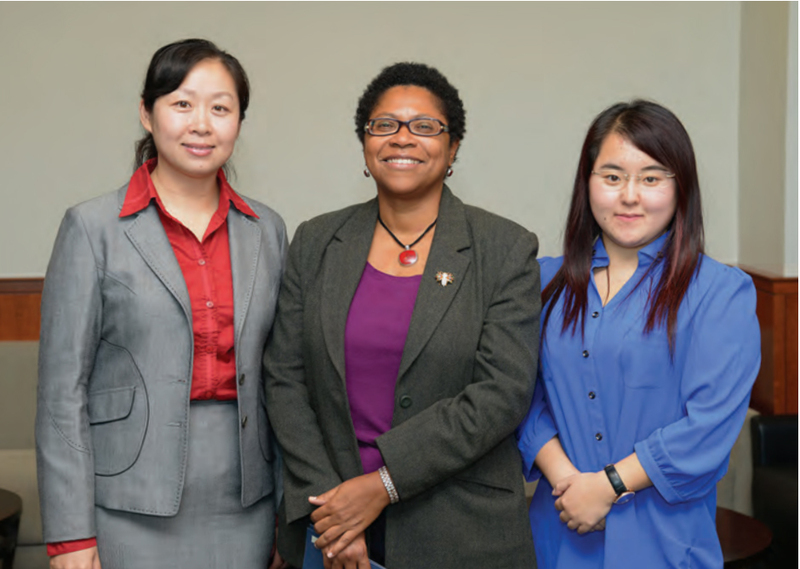 At IU McKinney, our faculty members are passionate about mentoring lawyers. They are professors and accomplished legal professionals, experts in their fields of interest and are eager to help you achieve your academic aspirations and career goals. Distinguished members of the legal profession, including justices and judges from the Indiana Supreme Court and Indiana Court of Appeals, as well as Indiana’s former attorney general, have taught LL.M. courses. Our LL.M. 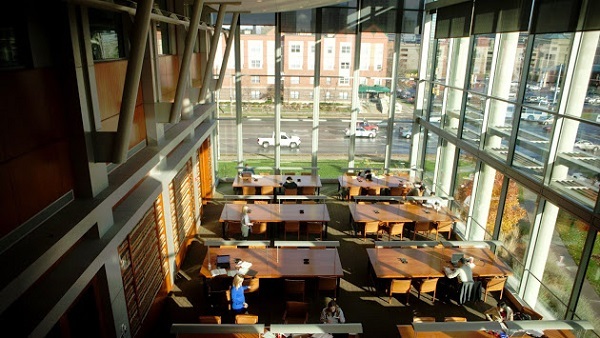 students are encouraged to participate in the rich intellectual and social life of the law school, a close-knit community that supports faculty-student interactions. These relationships between students and their professors often evolve into lifelong, worldwide connections of colleagues, mentors, and friends. Our 10,000-plus alumni work in Indianapolis, throughout the United States and in countries all over the world, in a range of legal specialties, government, the non-profit sector and business. 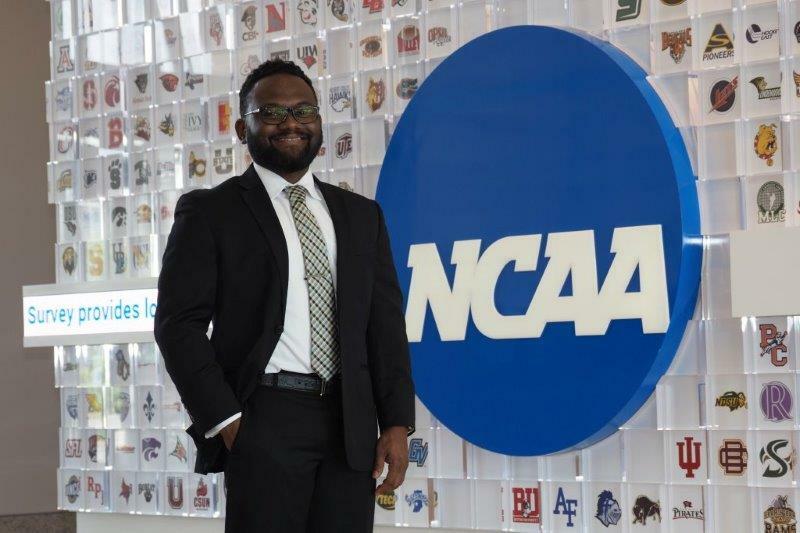 These alumni are your built-in network for career advice and opportunities, and we work hard to foster those connections.